Isabelle Headrick, Executive Director Accessible Housing Austin! Isabelle Headrick is the Executive Director of Accessible Housing Austin! She has been a member of the National Low Income Housing Coalition (NLIHC) since 2005. 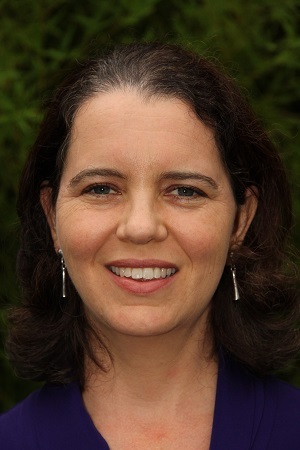 On March 9th, the NLIHC Board of Directors elected her as a new Board Member. In this interview, we spoke to her about her decade-long affiliation with NLIHC and how she benefits from her membership.This interview is a part of our ongoing series of conversations with NLIHC members that we are presenting to our readers in the wake of NLIHC’s Membership Month. We asked Isabelle, among other topics, why she would recommend NLIHC to our prospective members. Since I first became professionally involved in affordable housing 13 years ago, I have been impressed by the quality of the policy work that NLIHC does in housing education and advocacy. NLIHC supports the work that we as advocates do at the state and local level by providing us with policy resources and advocating for funding at the federal level. So, I feel that it is critical to support the work that they do. I started volunteering in a homeless woman’s shelter in Chicago during high school. Later, my first job after being a stay-at-home mom was with a neighborhood-based community development corporation in Austin, Texas. I’m frustrated by the fact that the current emphasis on getting the chronically homeless off the streets ignores (and in some cases diverts resources away from) the substantially larger population of invisibly homeless and housing-insecure Americans. Our policies are being driven by a movement that is not inclusive of all extremely low-income people, let alone of people who don’t need or want supportive services; and I think this is a mistake. All housing advocates, even those with whom you may disagree sometimes, have incredible resources of talent, intelligence and dedication. Get to know your colleagues, find the issues on which you can collaborate, don’t be afraid to ask for help, and be generous in sharing your own expertise. Knowing that my support translates into high-quality advocacy and policy work. For me, it means a place raise to my kids: a place where they will be comfortable and physically and emotionally secure, feel connected to their community and neighborhood, and have access by walking, bike-riding, or public transportation to their schools and friends. This is not directly related to any of those, but Edmund Morgan’s American Slavery, American Freedom: The Ordeal of Colonial Virginia is a fascinating read about the origins of slavery and racism in the American colonies – some of the very issues whose legacies we are still dealing with today. 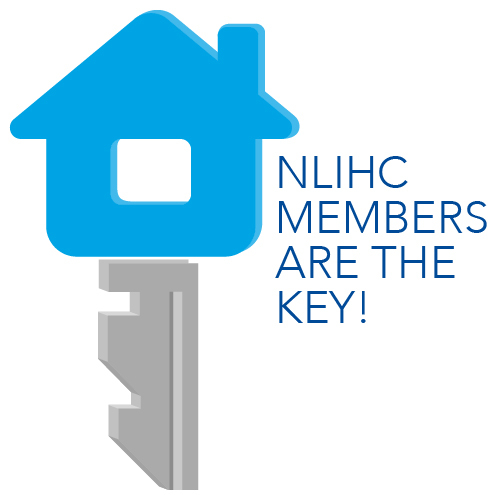 NLIHC is the premier national organization advocating for very and extremely low-income renters and public housing residents. For those of us who live in states whose legislators do not support affordable housing funding, it is all the more vital to have an ally at the federal level.The annual Out of Reach report provides critical information about our states and communities to help us advocate for affordable housing to our policymakers and legislators. NLIHC gives us the resources to do our jobs as advocates…and advocates for the resources for us to do our jobs as affordable housing providers and homelessness preventers. I spoke to a Community and Regional Planning class at the University of Texas at Austin about quantifying the need for accessible, affordable and integrated housing for extremely low-income people with disabilities and showed them Out of Reach as a data resource. I called my Congressman this week to ask for the sequester caps to be lifted and to advocate for HOME and the National Housing Trust Fund.